There are a couple ways to handle your business vendors. On one hand, you can hound them constantly and always maintain your authority. Hey, they might object to being driven with a hood over their eyes to a remote, vacant warehouse in the back of a windowless van then being interrogated in a dark boiler room. But that’s just the price of making sure they know you’re in charge. On the other hand is a subservient approach, where the vendor rips a check out of your hand, adjusts their monocle and expensive cigar as they hop into their stretch limo on the way to the yacht. Hopefully you’ll hear back from their intern in a few weeks. Yeah, neither of those is correct, obviously. The best approach to any vendor is to always assume it’s going to be a partnership. You're both reponsible for success. Yes, you’re paying them to provide a service but the best path to success is when you’re willing to put in the work on your end as well. This applies across the board. Software, payroll, benefits - whatever you’re paying someone to do on your behalf, it’s always going to be better when there’s mutual understanding and cooperation. Sometimes you defer to the vendor, sometimes you have to take control of the situation and put your foot down. 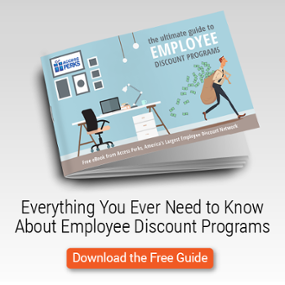 What Does A Successful Employee Discount Program Look Like? As we continue to discuss the intricacies of employee discount programs, it’s important to keep this in mind. Recently we published a few questions to ask before you sign on with any vendor. Those are designed to suss out frauds, scammers, and pretenders. Once you’ve used those to pare your list down to one or two vendors, it’s time to focus on building a plan for success. What does success look like in an employee discount program? In a nutshell, it’s a lot of employees using the program to save tons of money at merchants who are happy to see them. The thing is, success won’t happen on its own, no matter how great the deals are. It takes intentional effort from you and your vendor. Before you launch, build out a few strategies so you're crystal clear on what needs to happen for the program to thrive. Before employees get in and save a ton of money, they must first register. Getting them to do so requires an educational effort, beginning with an exciting announcement at open enrollment or whenever you plan to launch the benefit. Then, you need a plan moving forward - how to make registration part of new employee onboarding, convincing holdouts to register, and so on. After all, how can employees save lots of money if they’re not even signing up for the program? Remember, this isn’t all on you. Rely on your vendor to contribute their own best practices and even come on-site to talk to employees about the program if necessary. Just because employees are signing up doesn’t mean they’re going to redeem offers. Even people who redeemed an offer may not come back for a second. The goal is to make the employee discount program part of an employee’s spending habits, which takes time and repeated effort. Is the vendor sending emails? Push messages? And what are you going to do - post to your intranet? Recognize frequent users? Run a contest? Don’t just plan to commit random acts of marketing when usage dips. Create a plan with your vendor, evaluate it every few weeks, then adjust accordingly. What happens when a merchant turns down an employee’s coupon? Who does an employee talk to if they want to suggest a merchant for the discount program? Someone’s gotta take those questions. Quite frankly, it has to be your vendor. You shouldn’t have to call merchants. Set service protocols with your vendor. Find out when they’re going to be available, how employees can contact them with questions, and how quickly they should be expected to respond. What does success look like? We had a few suggestions earlier, but work with your vendor to set specific measures. Then evaluate regularly and adjust as needed. The important thing here is to establish expectations between yourself and vendors. How many registrations should you have in the first three months? Redemptions? Promotional impressions? All of these are important and worth setting milestones toward. Finally, set a regular meeting with your employee discount program vendor. It doesn’t have to be weekly, but make it regular enough to cover any issues or deficiencies before they become serious. 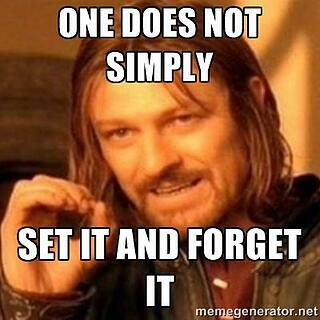 It’s tempting to just let the vendor handle it, but there’s no such thing as “set it and forget it” in employee discount programs. At least, not if you want a program that puts hundreds of dollars back in employee pockets! Employee discount programs are fun. It’s cool to open your mobile app and see that you can save 25% at the Thai place you’ve been wanting to try. There’s a fun and relatable nature to these programs that people inherently understand. But you, Benefits Guru, are being asked to deliver results. You need to recruit, engage, and retain the best performers, period. Doing those things means a diverse, tangible package of benefits and perks. And every one of those perks needs to perform and show value back to the company. Employee discount programs aren’t exempt from those standards. Don’t just sign up for one just to have one. Take the time to get a quality one, then work closely with your vendor to make it sing. Just make sure your vendor is a willing, active partner - and not a company that has to be threatened before they’ll give your employees the service they deserve.